Road to the water is easier than ever. Includes Kart Assembly Only. Our Kayak Kart rolls on bicycle wheels with precision ground bearings not plastic bushings. Very easy to pull! Our ultra-light design is made of a folding aluminium frame and 16” bicycle wheels which can be quickly removed for storage. The Kayak Kart is built in our Guelph Canada factory. We ship the Wike Kayak Kart directly to you. Kart does not include towing assembly. Kayak pack with shoulder strap. 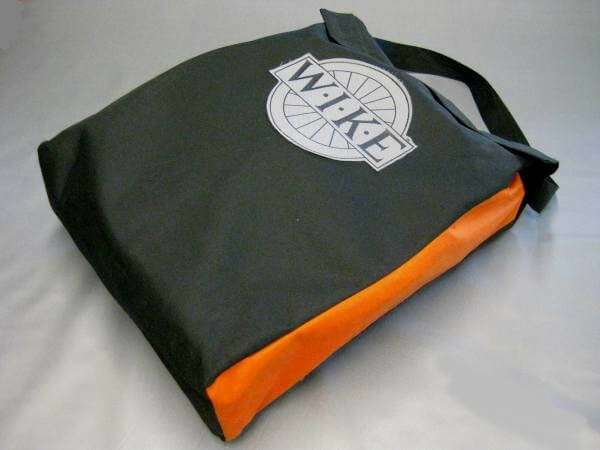 Holds kart with wheels and smart stick in a tidy velcro closing bag.